I went to see the Hobbit yesterday, and to give nothing away, I loved it. I wrote a whole long thing about it (plus pictures of hot dwarves) over here. 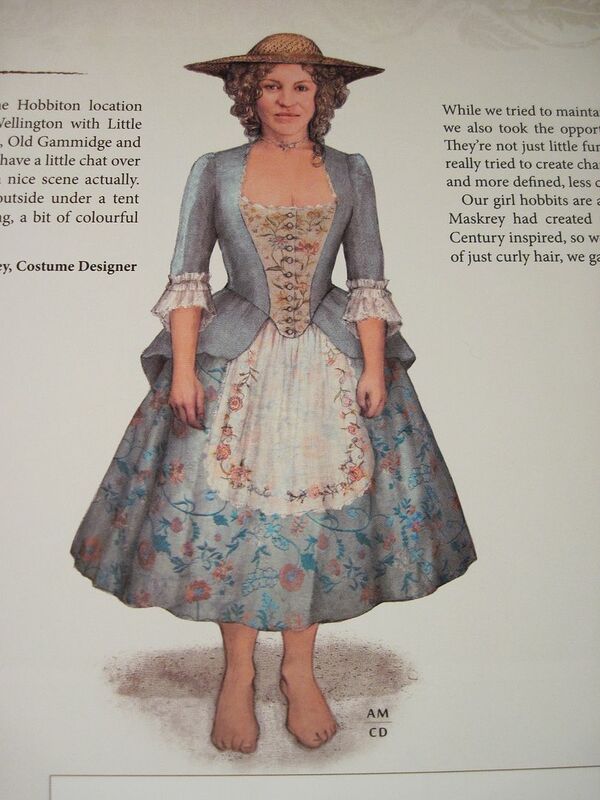 But what I wanted to specifically talk about here, is the costuming for the lady hobbits. 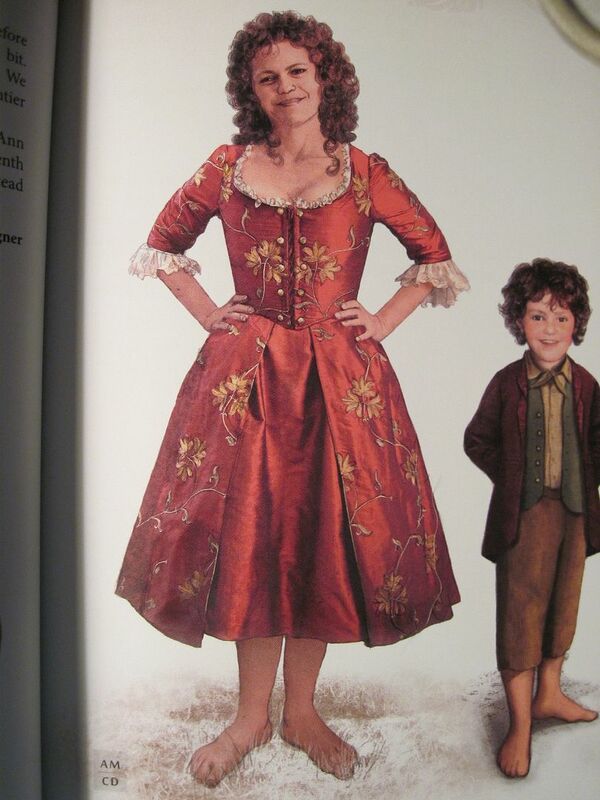 And also, deeply disappointed that lady hobbit costumes didn't appear in Part One. Sigh. I will resume drooling over them online, and I hope they will appear in Part Two. I bought this lovely Hobbit concept art book, called: The Hobbit An Unexpected Journey: Chronicles. It's recommended, if you like this sort of thing. I was particularly taken with (surprise!) 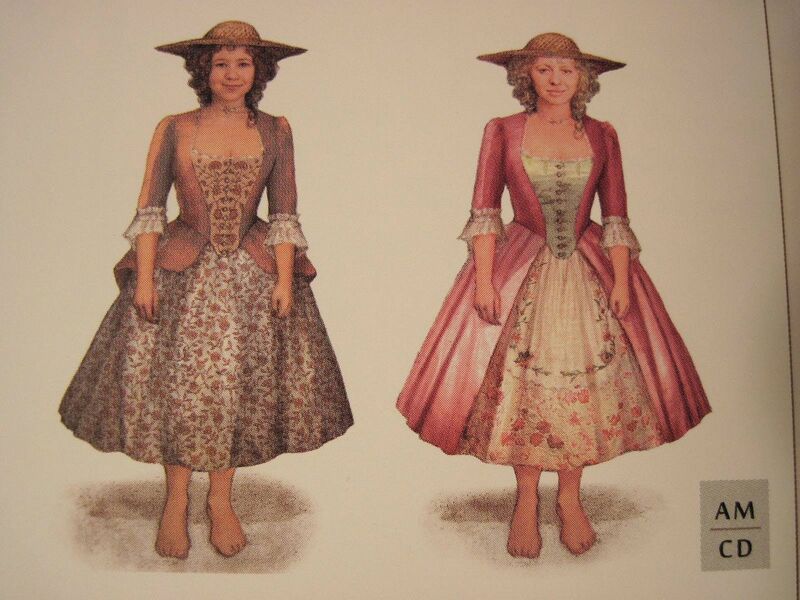 the lady hobbit costumes. I adore the 18th century look. The apron is sheer and embroidered! I want the blue one. I may already even have some fabric that would work for the jacket/bodice. Now all I need is time, and a place to wear it! I love that last red one and I need that book. Thanks for sharing!